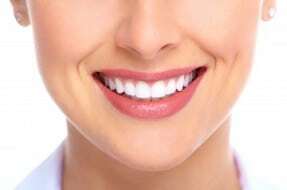 An article that discusses new research which has shown that English people have better teeth than their US counterparts. It has long been thought that our friends across the pond have better teeth than us. The term ‘Hollywood smile’ is commonly associated with the perfect smile and our TV and cinema screens are full of US actors with straight and gleaming white teeth. In comparison our British smiles have often been associated with crooked and discoloured teeth. I recall that Ricky Gervais was once complimented by a US journalist on being prepared to wear unflattering false teeth for his role in a film. That compliment backfired as the teeth the journalist was referring to were actually his own! However, it seems the tides have turned as in a recent study, published in the British Medical Journal, it was shown that English people have better teeth. The results showed that the average number of missing teeth was 6.97 for English participants whereas it was 7.31 for US participants. The study also demonstrated that that people were more likely to have poor dental health in the US due to socio-economic factors. Whilst the stereotype of British vs American teeth might still stick, the research demonstrates that as a nation we have better dentitions. In recent years the nation’s approach to oral hygiene has vastly improved and we are more aware of what we need to do to prevent tooth decay and gum disease. Despite the nation’s desire to obtain the perfect smile, plenty of people do not gauge the importance of their oral hygiene and can be diagnosed with periodontal disease (gum disease) and/or deep caries (decay) and cavities that need restorative treatment. In some cases, by the time the patient is notified of their gum disease, it is too late and they will inevitably lose teeth. In other cases, the patient was told of problems but didn’t receive adequate treatment or management afterwards causing a deterioration in their condition.